(transitive) When a person feels happy or excited about something that is going to happen. The person is eagerly waiting for a pleasant event or reaction. Jennifer is really looking forward to her wedding day. 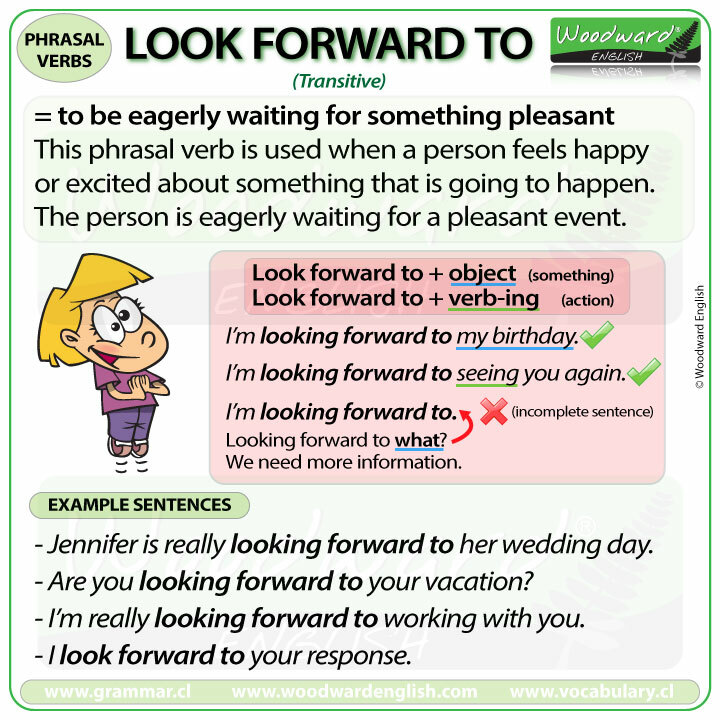 Notice how this phrasal verb is mostly used in the present continuous form. This is because it is an action or feeling happening now. This phrasal verb is transitive which means we need an object or something after it. Looking forward to what? We need more information, we need something after this phrasal verb for it to make sense. What do we put after look forward to? We’re looking forward to going on holiday next week. Is there something that you are looking forward to?